Home » Should you disclose your salary history to a headhunter? As far as headhunters are concerned, here are my $0.02, based on my experience as a mid-career, white collar professional: Go ahead and give them the info. 1) It’s been my experience as a candidate or, conversely, a hiring manager that — at least the more persistent headhunters — aren’t above going to your current or most recent employer and trying to get the info on their own. 2) Remember, these are headhunters, not hiring managers. Half of their act, in my experience, is based on making you feel like they are your newest, best friend in the whole friggin world. To paraphrase Star Wars, as Obi-Wan Kenobi, they are your last, best, and only real hope for getting a decent job. They may well take your refusal to disclose salary info as you’re not playing along with their game or that you have something to hide. 3) It’s also been my experience that many of the more persistent or driven ones aren’t above taking a little “editorial license” with your job history, including salary info. And don’t think that it doesn’t mean they won’t ratchet it down, if necessary to shoehorn you into a job that has a budgeted salary of less than what you want and/or what you made in your last job. I get precisely the feeling in Jason’s #2 – it tells them you don’t want to play. They make their money by playing the system. You choose. With all the recruiters I’ve encountered (I’m a project manager in tech/creative), what they ask is what hourly rate would you like? X? As if they don’t know the published and going and appropriate rates, they say this (large-cap) client can only pay .6X, would you accept that? If you say, OK, you’ve just lowered your own value, agreed to take far less than an appropriate amount (not to mention whatever you’re actually worth), and helped all your fellow job seekers in a race to the bottom. Welcome to the market. If you don’t accept it, they say goodbye. If you say how about splitting the difference, they say a) client has no flexibility but I’ll try, and you don’t hear from them, b) I can only go $1.36 over the number I just told you, and you don’t hear from them. Oh, and whether you get the gig or not, whatever number you agreed to this time, each succeeding time their bottom line incrementally goes down. But the opportunities are sometimes good and you gain experience and contacts, and sometimes you wind up getting paid a fair amount anyhow. I think the one set of opinions we’re missing the most (except for Jason above)is that of business owners and hiring managers. How do they really see it? Does even the most cordial and gentile of objections to discussing compensation still communicate an adversarial attitude and “high maintenance” as a future employee? Do you end up in the same “red flag” bucket as a candidate who insists at an early stage on discussing policy on advancement of women, minorities, disabled, family leave, or other special interest segments in great detail? We could use the input, I think. At no time in the interview process for my current job did anyone ever ask about my previous salary. In fact, thinking back over the past six jobs I’ve had…Nope. Never came up. The only time I can recall and HR wonk asking me my salary was in a very adversarial interview process where she used a stimulus-response trick to get me to blurt my salary before I could even think about it. I believe I lost that opportunity because the salary I told her was too LOW, not too high, it made them believe I did not have the right background for the position I was trying to get. I -was- attempting a big jump in pay and responsibility, but that’s because the position I was leaving was lacking in both. Thanks for the discussion on this. I can’t recall a time when an agency or HR recruiter DIDN’T ask me what I was currently making or what I made in my last position. It’s always akward for me. I get hijacked everytime it is asked because I know they know potentially puts the candidate in an uncomfortable position and I begin to wonder how they will use the information to judge me or my fit for the position. I usually just disclose it. The few times I haven’t, the interview seemed to turn contentious. I’ve in turn had the door closed on an opportunity because my current salary was higher than they were budgeting for the position. The frustrating thing is that, often times, the job description describes a role that should pay more than what they are offering. As Frank mentioned, surely a good recruiter will know what rate is acceptable for the type of skills they are looking for. Frankly, I’d be offended if I were to perform the job as written and only be paid what they say their budget allows. I have been willing to walk away from what sounded like a great opportunity because the salary they were willing to pay was offensively low. Fortunately or unfortunately, this was often identified early in the interview process. Before I really had an opportunity to get into the “how can we mutually benefit” joust with the hiring manager, a “screener” screened me out based on salary. 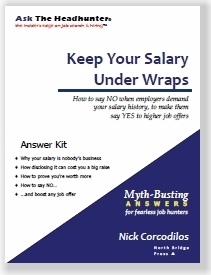 I can see both sides of the coin – Nick suggesting salary is your business alone and others saying to disclose the information to preserve the relationship – but I really hate the feeling of “being naked and vulnerable” after I’ve disclosed my salary to a recruiter. @Frank: What you’re describing is not headhunters. It sounds more like jobshops, where they hire you, put you on their payroll, and then farm you out to their clients. Those guys have virtually no room to negotiate because the salesperson at their firm already closed a deal with the client company on the per-hour wage. A headhunter never puts you on his payroll. @Kent V: In comments on other posts here on ATH about salary, quite a few people have posted stories about not disclosing their salary, and they report that the employer or headhunter has backed off. In my experience, this happens quite a bit. In the funniest cases, the employer actually squirms in embarrassment for having asked the Q to begin with. While some employers will indeed end the discussion (as Teresa points out), many will just back off. 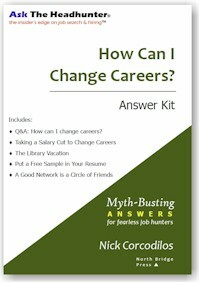 I’ve benefited from your three books and the podcast on salary questions. I agree with the thought process and reasoning on the subject. Unfortunately in practice it can be difficult to act on that basis because of the arbitrary and discretionary power of interviewers and the structural friction that arises from such refusal. 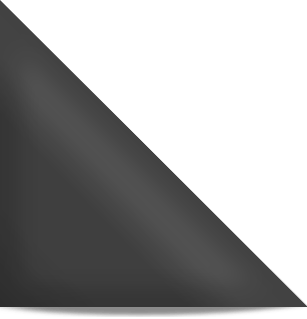 – Laid off from a high-paying job during the financial crisis. -Took a consulting job with a relatively high hourly rate (but less than full-time hours) for 1 year. -Went into government (financial regulation) for 2 years at about half my financial salary . Now I’m considering going back into private sector. Obviously I’m looking to maximize my compensation consistent with the increased value I can bring in the current marketplace. I think I can tell a reasonable story but don’t want to get hung up in discussions of detailed salary history ups and downs. Do you think its okay to reveal salary if there’s a reasonable story behind the numbers? And if so, how does one best tell it? Many thanks for all your insights. As said, “I strongly believe the right approach is to withhold salary history, even if it costs you a job opportunity,…” I have always had non-disclosure confidentiality agreements in place. This protects both parties, so this issue for me is a non-negotiable issue. I believe even without the prior agreements in place, I agree with Nick 100% on not giving it out…ever. I believe once salary is given one has in fact been stereotyped to a price. It is a powerful issue psychologically to talk about past salary. Once done I feel a person has equated their talent and worth with a single figure that may not at all reflect actual value or potential value. What one employee paid is not in any way, shape or form the business of a current potential employer. If the employer offering the position knows what they are doing they will know the price of the work of the position and offer accordingly against what they see on the resume, references, etc. My view is if salary must be disclosed? Then I would end the discussion right there and …walk. I on the other hand have something to hide: I have been routinely underpaid in many positions I have been in since entering IT. On my grumpier days, I write it off to not being young enough, old enough, diverse enough, mainstream enough, veteran enough, anti-war enough (and so forth) to merit top dollar from that particular hiring manager. The cadre of hiring mangers who who do pay close to the correct amount see that I far and away exceed expectations, hit my mark, say my lines, and get the job done that needs to be done. These are the managers I choose to work for: The ones that don’t play silly salary games or strive for “feelgood” reasons to hire someone. So I look a little longer. And walk if prior salary “must” be disclosed. 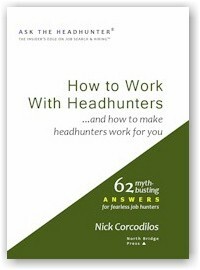 I have not yet had experience with headhunters, but I’m curious and want to learn for future occasions. I don’t understand what the big deal is in talking about salary. Here is how I see it: The employer wants someone to do job for them and they’re willing to pay a certain price for that. Likewise, the applicant is looking for a certain compensation in exchange for doing that job. To me, making past salaries part of the equation would be like asking a potential Craigslist buyer how much they paid for other items they bought on Craigslist in the past. Who cares? It doesn’t matter because past items are not on offer. If I’m willing to work for the offered salary, I take the job. If I’m not, I don’t. And if we’re willing to bargain, we should do just that and see if we arrive at a conclusion. What you are missing is by disclosing current salary? You answered it yourself. @D.S. : Thanks for bringing a purely practical perspective on this. Most of us (me included) are brainwashed to BEGIN with the idea that employers want your salary history. You’re starting with the assumption that they won’t care about it because… a body on Craigslist will go for what the buyer wants to pay and the seller is willing to accept. All that matters is the price at hand. And that’s totally true. Except that’s not what happens. It goes like this. Company “assigns” a search to a headhunter. Gives headhunter the salary range. Now this is where things go askew. Headhunter, wanting to close the deal asap, asks candidates what they make now (or made last). Why? Because he’s trying to fit the salary curve of the job. BOOM. That’s the problem. The headhunter should ask instead, How much are you looking for to do XYZ? Or, HH should say, this job pays about $X. Is that okay with you? Rather than quibble over what the employer wants to pay and what the candidate wants to get paid (that would be an honest negotiation OR argument), everyone winds up quibbling over a totally meaningless number — what some other employer paid the candidate last year or five years ago… it’s KOOKY. My challenge stands: I’d like an employer or HR person to give us one good reason why they “need” a candidate’s salary history. I’ve yet to hear one. Two years ago, I went from the government to a consultancy company. When asked about salary, I simply said that since I changed sectors, I expected salary to rise, so my previous salary would not be relevant. Your work and salary history in general may be relevant to talk about, to explain changes and expectations, but the numbers themselves should not be disclosed because they will be abused. It may be useful to clarify salary expectations with a new employer to see that you are in the same ballpark, and do not waste time if they are not. But make it clear that you are discussing ballparks, not final numbers, as the final result depends on convincing them what you are worth, the overall package tasks etc. Reduce the risk that a HR jockey stops the process because you said the wrong number, before you had the opportunity to convince them that you deserved it. You precisely outlined it all right there in my opinion Karsten. All the questions about this issue are answered in my view right there in your elegant reply. The bottom-line to me is that this isn’t brain surgery. Only a novice would flap trap about everything in their past, including salary. I think withholding any information which is material to the offer will backfire. I think the company should publish a reasonable salary range in all job postings. Candidates will select for themselves if they can afford time to interview, knowing in advance what the salary expectation is. Once a candidate and the company express mutual interest, then the candidate can disclose their salary requirements and negotiate the offer. Here’s the problem with that: there are 1001 variables that go into the number, and simply giving me a 5% raise in salary to do the same work, especially when I’ll be loosing other benefits is silly. The greater issue at play is that too many people in the recruitment game simply are looking for the easy fit of the round peg into the round hole. People may be more interested if you offered them a step up instead of a simple lateral move. I think the problem with some of these people wanting or demanding past salary is their desire in finding someone, anyone, to do the job …at the lowest money. It is always a key to me to run. It always tells me point blank where they are in terms of structure and personnel and it is always a key note to me that they do not understand that cheap never equates to quality and top talent. As recruiters/headhunters, our job is to find individuals who have the skill set needed for the job opening and who fits the range the company is willing to pay. After that, we just want to get you introduced to the company and from there – want you and your potential future employer (our client) to figure out the best compensation package that works for both parties. It’s obvious from the above comments that many other recruiting firms /headhunters don’t work this way but I hope that some of you realize there some trustworthy recruiters out there. These people are not only trying to recruit for their clients – but also try to act ourselves as agents for candidates too; knowing that if they’re not offering an opportunity that truly interests you or will improve your situation then it will be a waste of everyone’s time. @Megan Asking about desired salary is one thing I have no problem with if I am interested in what is being offered or if I present what I am seeking within a range. This does not apply to PAST salary in any way, shape or form. Past salary is no indicator or barometer for any reason to a present or future situation. @Nic – could not agree with you more!! @Megan Thank you. It is really good to see we are on the same page here. @Lucille: Your suggestion is simple and to the point. Here’s the problem. Employers don’t like to publish salary ranges for jobs because (1) it might tip off competitors about the company’s salary scales, (2) it might adversely affect negotiations with a candidate. That’s what HR will tell you. Of course, the applicant faces the very same two problems. The difference is, the employer is the party advertising the job. Imagine a car dealer advertising cars without putting sticker prices in the windshield. Everyone knows the selling price is negotiable, but prospective customers need to start somewhere. HR will argue that THEY are the customer, so they need to know the candidate’s sticker price. And that’s balderdash. @Megan: Do you disclose to your candidates the salary range your client company wants to spend? @Nick Corcodilos – We do not on our website as we don’t want that to be the main reason potential applicants do or do not apply. If someone asks up front before applying, I’ll disclose the range. Otherwise, we discuss it during our phone screenings to see how it matches up with the candidate’s expected/desired range. However, there are so many factors besides salary to consider (career advancement opportunities, cultural fit, location, etc) that while pay is a big deal – I hope it’s not everything. Nick, that is the part many of them do not understand. This is a great analogy. What a perfect negotiation reasoning. I do not know you but I can tell one thing you are good at what you do. I wrote this as an adjunct to your advice. You advised the candidate to keep his salary requirements secret until the offer. I’m advising that the company disclosed a salary range first, and then after both the company and candidate agree they have a mutual interest, the candidate reveals his salary expectations. I slept on this a bit. Well, as long as the company has not published the salary range in advance, what is the candidate to do? You’re right, they should keep mum. 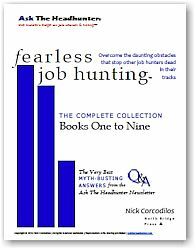 My experience with good headhunters has been to be as up front as possible about the range you feel you will require. Total compensation is the bigger picture – I’ve negotiated several perks based on a lower salary. As a hiring manager, if in doubt, I’ve ever hesitated to ask a final candidate or the headhunter for a W2 to prove past income. When a person is very sharp, smart and worth their weight they do not waste time talking past money or handing out past W2s. In my view, what has been described about a hiring manager in doubt asking for W2 forms is outrageous to me, and may play with people of a certain intelligence or experience level, but I do not know one top drawer executive who would play along with such a game I can tell you I wouldn’t. In my book, worth for a position is set by the actions of what the person proposes to do for a firm to the right person, face to face, which is the value shot moment that determines the salary offer. I would relish a hiring manager at a firm pull some last minute BS stunt with me like show me your W2 forms that is precisely the point when I would tell them, ‘If you are in such doubt about me? I should not be your final candidate. You do not need me for this job, you need a fool.’ …and walk straight out the door. I have been in the IT world for about 27 years. Started from the complete bottom and worked my way up. Repairing PC’s and printers to installing and trouble shooting network systems (this included 7 different OP Systems and all the different manufactures and 6 different connectivity modalities). Then a network administrator (included even more than mentioned above), to a systems engineer (which added even more than listed above). Head of a national companies SWAT team, I was the last resort and traveled all over the country helping the techs and other System Engineers resolving the most difficult of problems. I was designing networks and going out on calls w/ sales folks, reviewing needs etc.. I then went into PM for the next 10 years. My customers LOVED LOVED LOVED me. I knew exactly who to call depending on the issue, especially in crisis mode. I had MANY customers let my managers know what a great job I did for them, this included budgets for each customer I was supporting, which could have been 10 at once. I ALWAYS made money! (I still would get laid off or fired). These were mostly contract but I did have a few full time positions also). I also did my own contract work in between jobs. I guess what I’m trying to say is that I’ve been all over the place in the IT world, needless to say my salary has also been all over the place. I have always told HH/pot. employers that I do not take job opportunities based on salary, I take job based on many other variables. Thank you, Nick. I know that you’ve said this before, but it does bear talking about again. What I find frustrating is that employers are reluctant to disclose salary ranges when they have an open position. Why? It doesn’t make any sense for them to REQUIRE me to disclose my past salaries on pain of getting disqualified for consideration. What I was paid in the past, at different jobs, different levels, with less experience, should have no impact on what an employer is willing to pay for this particular CURRENT job that is open. (Love your car dealership analogy!). At my last job, I sat on a number of hiring committees, and before we even got to the point of posting the job, let alone interviewing our choices of candidates, we had some ballpark idea of the salary range for the job. If more employers disclosed it, then maybe, just maybe, they’d find that those who apply for it are those who can afford to work at that salary (those for whom the salary is too low will be able to decide not to apply and keep looking). @marybeth You bring up a very important point. The idea of any position not advertising a range is a complete waste of time for both parties. Even under the circumstances of posting a range, I would never disclose past compensation because it is still none of their business. What is their business is what one has done against the word of references and credibility of those references, and if they are willing to take the position for the stated money. Here is another analogy; a job is essentially selling something. They will pay this much hoping you will buy to do that much. It is essentially no different from any other position in terms of sale and purchase. When a grocer sells food they post a price, I am not asked at the grocer’s door how much money I have to spend OR worse imagine being asked how much money I have spent on food in the past before entering the store. If most CEOs today got off their dead behinds and took a good hard look at their companies employee makeup they would realise what the problem really is about today. There is first and foremost in my opinion plenty of solid ignorance in HR departments lately from what I see and far too many employees in the same departments. These HR departments are flooded with gofers, these often silly immature generalists I have seen must be cheaper by the dozen. HR is to me just out of control. I know one firm with numerous generalists, managers, directors, senior directors, senior vice-presidents (this is in HR ALONE!) If I ran the same firm the HR department would be cut (at minimum) straight in half, and I would focus that savings on recruiting top talent to actually run the business and save it money. I work in a region (MENA) where HR will unabashedly press you for a current salary — generally with the unstated endgame of getting the cheapest possible candidates. I’ve found two helpful strategies for dealing with this while not divulging my current compensation. 1.) Tell them that in this regard you are under a Non-Disclosure Agreement in your current work contract, and will be in violation of that if you divulge such information. If they continue to press (“C’mon, nobody will know outside of this room”), then ask them if this is an integrity test. Point out that you’re being asked to violate your professional standards, so this *must* be a test of your morals and professional conviction. Let them know that you’d no more violate these for your current organization than you would any other employer and go on to tell them how this loyalty makes you a great future employee. 2.) If you’re not already 110% certain about whether this is a position for you, turn it around and give them a salary range of what you’re willing to accept. Be warned, though: I have personally lost two positions that way. However, I would not have accepted these positions regardless, since they were under my own minimum, and there were no extenuating circumstances/benefits to make up for the low salary. Plus, it saved me a lot of time and effort where I would have otherwise continued pursuing the job only to ultimately refuse it. “This summer, Massachusetts became the first state to ban employers from requiring job candidates to provide salary information as a basis for future pay. Instead, employers will be required to publish salary ranges based on the skills and qualifications associated with the role. Philadelphia and state legislatures in New Jersey and Pennsylvania also have bills pending. On the federal level, Del. Eleanor Holmes Norton (D-D.C.) co-sponsored similar legislation in Congress. The District has a similar bill pending that would fine employers if they ask for salary histories.